Spreading awareness and interest for synthetic biology can be a difficult task due to the complexity of the field and the fast pace of development. Furthermore, the public scepticism towards genetic engineering and GMOs has been quite strong, at least in Sweden. To explore the awareness of some aspects of synthetic biology and their knowledge about it, our team conducted a survey covering the use of GMOs in household products. The survey also covered some basic concepts within biology, such as DNA and where it can be found. We also went a step further in the pursuit of understanding the public position, in our collaboration with the Istanbul Technical University iGEM team. In our collaboration, we designed the layout and questions for our survey to be able to compare the differences in people's opinions and knowledge of GMO. The results could then be compared and an analysis of the differences can be used to device future strategies for informing the general public on the use of GMOs in both our countries. The survey consists of 15 questions in total with an initial part covering age, gender and education level to aid in analysis of the results. The questions were first written in English, discussed between two teams’ members. Teams made a joint decision about the questions and then translated to the native languages of each team country (Swedish and Turkish). The participation on the survey was good, with 183 and 875 participants in Sweden and Turkey respectively. Demographically, the diversity was not optimal with over 80 percent of the participants having a university education which is not representative of the population as a whole in either Sweden or Turkey. Correction for this will of course have to be part of the analysis. Furthermore, it should be stated that conclusions drawn here are merely the thought and conclusions drawn by our team and are up for debate. After statistical analysis in the form of a t-test, the discussed results were shown to be significant. As a whole, the attitude towards genetically modified organisms (GMOs) was more positive in Sweden with over 80 percent being positive, whereas in Turkey, 72 percent had a negative or sceptical attitude towards GMOs. The sceptical attitude towards GMOs could be linked to the low exposure to the subject within formal education. Results show only 28 percent of the Turkish participants having received any information regarding GMO within an educational setting. Furthermore, the Turkish participants showed a higher level of dissatisfaction with the information that they had received. When asked if GMOs should be used for medical purposes, 24 percent of the Turkish participants disagreed, whereas 3 percent disagreed in the Swedish poll. This result can most likely be attributed towards the general scepticism towards GMO that the Turkish participants showed. Swedish participantsdid not agree that GMO products should be labelled, in contrast to the Turkish poll where 93 percent agreed that GMO products should be labelled as such. This further illustrates the distrust that the Turkish participants showed towards GMO products. The mistrust may be due to a low availability of good information regarding GMO, clear information on how it works and what the risks with the technology can be. Since the participants in the Swedish poll consisted mostly of university graduates, which does not represent the majority of the population, their positivity may not reflect the true opinion of the general population. From a Swedish perspective, it is quite clear that the opinion is not as high as the poll might indicate. Both nations did however show great interest in the field of GMOs and genetic engineering. 80 percent or more were interested in learning more about this field. A prudent strategy for both nations could be to include more information of the basics of genetics and biology in the lower levels of education to increase the level of understanding for life and biological processes. Swedish participants are mostly male but, Turkish ones are mostly female. High rate of female participants in Turkey may be due to GMO is an attractive issue for females because of food industry in Turkey generally use GMO. Both of participants are graduated from university or are university students. Almost all the participants from Turkey and Sweden know what GMO stands for, Turkish population get to know this abbreviation from TV news mostly. Interestingly, Swedish participants have a positive opinion about GMO, while Turkish participants have negative opinion on GMO. Actually it may be related with the education level in Turkey and also advertisements about GMO. Most of the Turkish people do not know that insulin also includes GMO idea while it is really useful for example. And this lack of knowledge that GMO’s help us in the field of medicine is stem from education problems in Turkey. They mostly know the GMO in foods and they think GMO products leads to cancer so they think GMO is a really bad thing which makes most of the people cancer. Swedish participants mostly use education as a source of information on GMO, while Turkish participants are using scientific publications. So, it may be related with the education system differences between these two countries. Turkish education system is not that good as Swedish one, so people must search for scientific publication to get to know more about GMO in Turkey. Also, most Swedish participants think that these information sources on GMO are sufficient, while Turkish participants think similar but not that much as Swedish participants. It may be related with the question above. Swedish people are educated already about GMO but Turks are not so they do not think the information that they gained from scientific publications are as sufficient as Swedish people. Economy of Turkey depends on agriculture substantially so interference of agricultural field engage attention of citizens. According to Turkish participants, GMO is quite similar as hormone-injected food and it causes unnatural diseases that are based on chemicals. Thus, Turkish participants might think that Fruit juice may have lots of GMO products. Also almost all Turkish ones prefer to label GMO product because of that reason. GMO production is not included in the Turkish education system. Maybe this issue should be given more space in textbooks. For one of our experiments, Bilkent Team generously provided necessary primers for us, for this to be a cross-collaboration, we will provide them some restriction enzymes for their experiments. We collaborated with Washington iGEM Team for our design of a Do-it-yourself FRET measurement system. We were thinking about a measurement device for our project, but since we are all molecular biologists, we could not make any serious progress about actually doing the hardware. 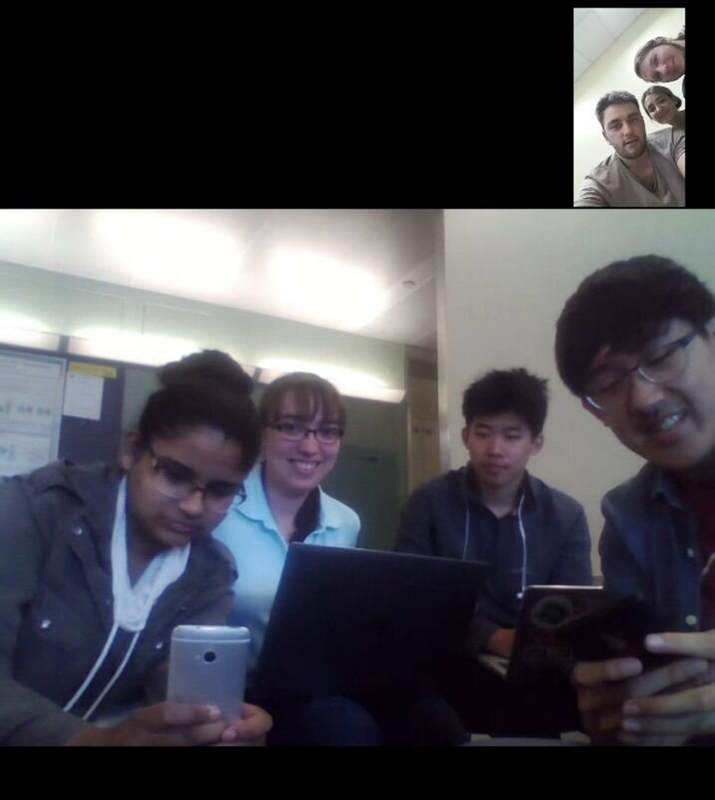 So, we discussed our ideas with the Washington iGEM Team. And of course they sent us a feedback report. They approached our design from a different perspective, and ended up giving us brilliant ideas. We collaborated with METU High School teams in many aspects including sharing the protocols and mutually cloning of our parts. 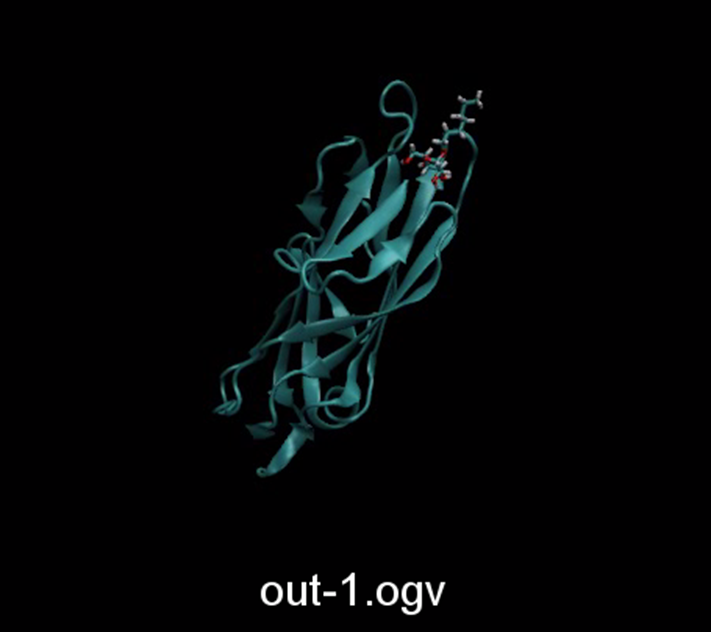 Besides, we made MD simulations of FimH protein with its natural ligand HETA for their project. They wanted to know whether the ligand HETA interacts with the FimH or not, and we found the answer for them.